In this day and age, we need more then a long, ongoing antidote that takes years of peeling layers of emotions to get to the core (otherwise known as traditional therapy). For this “antidote”, once you think you are there, you go right back to the top of your problems. In this day and age, we need more then a long, ongoing antidote that takes years of peeling layers of emotions to get to the core (otherwise known as traditional therapy). For this “antidote”, once you think you are there, you go right back to the top of your problems. That can take more years of dealing and reliving all of your pain and issues. One thing I know is: who has the time and money to spend on that kind of therapy? If you do, and it works for you, then great: I support your choice. However, I know that it doesn’t work for everyone. That being said, it makes a person feel like they are invested in a long-term relationship with short-term results. We don’t have all this time to waste, and who wants to, when there is so much living to do. Besides, the proverbial psychologist knows what your core issue is from the first two or three sessions. Why do they feel the need to take you down the tree of life one leaf at a time, really, one leaf at a time? That could take years, and before you know it, life is over, and you’ve missed out on all the good stuff. People today are looking for alternatives to working out their mental and emotional dilemmas in life. Truly, for most, there is no reason to go down the tree in slow motion. With humility and the ability to hear the things that make you feel very uncomfortable combined with the right attitude and desire, you can make quantum leaps and bounds over many of your issues and behaviors. This can open a whole new world up for you. Just a quick note, when you explore yourself, it should be done with love and play and with a light-hearted, kind, caring, and compassionate disposition. 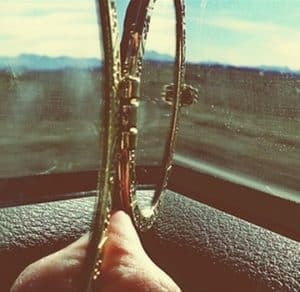 When dealing with yourself, and during the process, most people beat up on themselves, which in turn, can set you back pretty far from where you were heading. You’re in judgment and self-abuse. You probably don’t even realize it because it’s become a constant pattern for you since you first developed the habit. When you take on this kind of behavior, you stunt your core from releasing energy. Here is a rule of thumb: if you don’t let go, then you can’t let new things in. You literally become stagnant and blocked. Now that being said, if you just take a different approach with yourself, one that is based in love and support and encouragement, you will see results. You will feel more open, happy to undertake anything, and feel so empowered that no one or anything can get in your way of having a life worth living. So, once you are ready for the fast track to moving through your stuff, you need to build a solid plan. A plan based on you exploring with your Guide, be it therapist, shaman, life coach or in any field. This person must be someone you can’t over power and play victim and someone who will be able to take you to the core right off the bat. This journey will open you up, raw, and bring out all of the weeds in your garden that’s keeping your beautiful flowers from blooming and seeds from growing. This doesn’t take years or even months if you are truly prepared and passionate about you getting to it. So where do you look? Well, what I can say is, stay away from psychics. I do believe in them and they have their place; however, they are like prophets. They are here to show you probability not to access your core which you yourself may be in denial of. Look for a guide who has a history of working at a core level and who is not afraid to call you on your stuff–not sugar coating it to make you feel better. A real down to earth person whose expertise is people and helping them heal at an inner core level, a guide who doesn’t care about your praises or if you are happy or sad. It’s irrelevant if they make you happy or sad. What’s important: are they making you uncomfortable? Do you feel like running? Are they speaking to you with love and caring, not coddling you and not effected by your behavior when in session? Then, you found the right person. Finding the right person is worth the investment of time and energy you put into it. It’s like every session you do, you feel elated by the process. Exploring our life is supposed to be fun and light-hearted. Change is the effect of movement. As long as you keep moving, change occurs. You are never the person you were yesterday, so always remember that. You may realize that you are always in fluctuation. Remember to take it easy with yourself on the journey of discovery and have fun doing it. Find alternatives to your process, but if you’re happy spending endless time and money then don’t. Be genuine to yourself and others. Remember, there is no finish line to life. You are always growing and planting and growing more. Tend to your garden with words of love and encouragement, and most of all, acknowledge how far you have come. Be the best that you can be. Always laugh and enjoy. Love you dear hearts! Thank you.